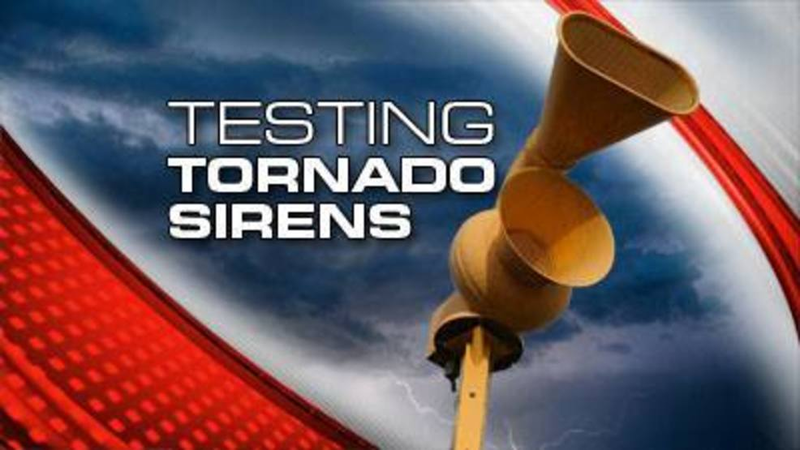 The Village of Greenwich will be testing the Outdoor Warning Sirens on Wednesday, March 20th as part of the Ohio Statewide Tornado Drill. 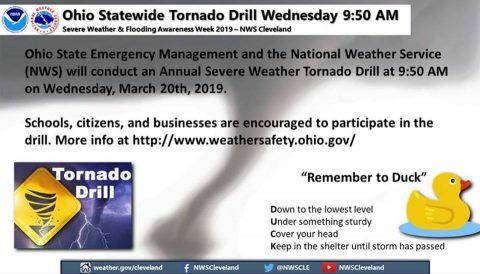 Schools, citizens, and businesses are encouraged to participate in the drill. The Village of Greenwich – Green Lawn Cemetery directory is now online for public viewing. With our new map directory you will be able to find available spaces, names of occupants, as well as lots already under ownership. 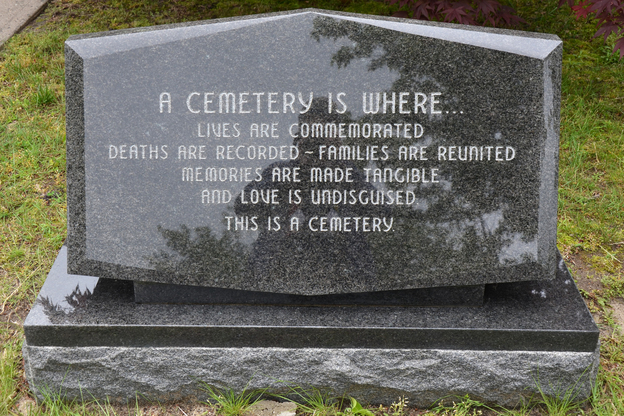 CLICK HERE to be directed to our New Cemetery Department Page. 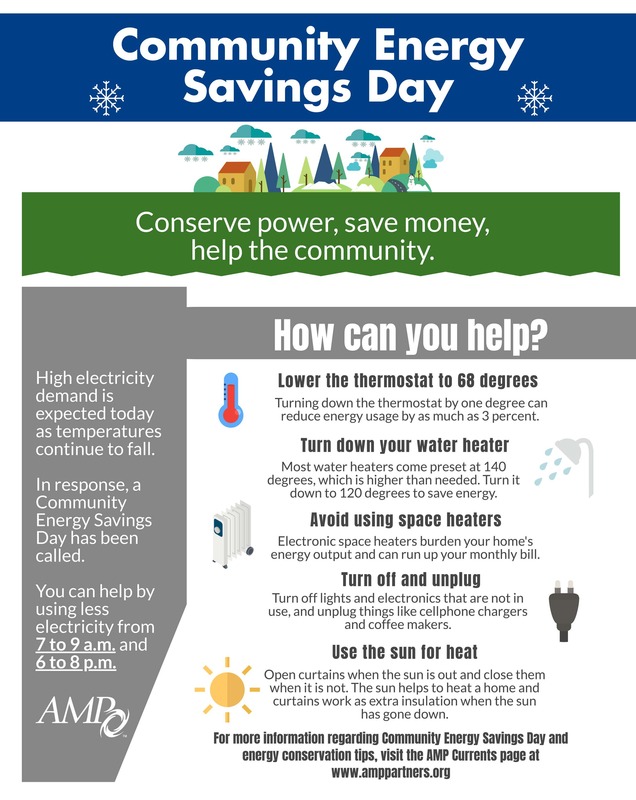 Help us reduce your Electrical Costs for 2020 with Community Energy Savings Day. On Thursday morning January 31, 2019 from 7 am to 9 am there a very high certainty that it will be our provider’s (AEP’s) peak for 2019. Consuming the most electric. Peaks occur during times when many people need electricity at once. These typically occur on cold winter mornings and hot summer afternoons. The “rush hours” affect the cost of power. As a reminder, the amount of transmission demand that The Village of Greenwich will pay in 2020 is based on your load or usage at the time of AEP’s annual peak. Since the peak is very certain, I am out sending out this message to customers to ask for voluntary curtailments to help the town reduce power costs for next year. I have included this video to help you understand how it works. You can help keep these costs stable by voluntarily shifting the time you use large appliances, like dishwashers and clothes dryers. 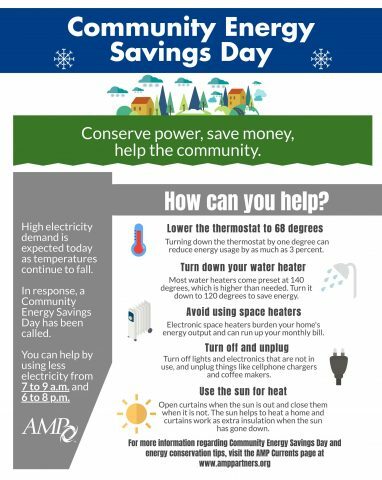 You can also help and save money by adjusting your thermostat and your lighting. On Thursday morning January 31, 2019 from 7 am to 9 am, only use necessary Curtail Power.